The clock is ticking, and the countdown is on to the two biggest shopping days of the year. No longer restricted to just instore promotions, come and join the online phenomenon on Friday 23rd November and Monday 26th November, as retailers such as Amazon slash their prices on the best Fitbit activity trackers and smartwatches. As a staple festive must have, you’ll find Fitbit activity trackers at bargain prices in the Black Friday and Cyber Monday sales. I will guarantee you’ll bag yourself some online bargains, with prices set to be slashed across all Fitbit products. So, avoid the chaos of the queues this year and choose to shop from the comfort of your couch in this marvellous mega-sale. If it’s set to be discounted this year, then I’ve got all the details right here. Take a look below. Fitbit’s fitness trackers sit at the top of many a wish list and make the ideal gift thanks to their chic designs, easy to use features and state-of-the-art technologies. So why not get into the holiday spirit early this year, as you take advantage of some amazing deals and make someone’s wish come true. The Ionic is Fitbit’s best attempt at a smartwatch and comes jam packed with a host of impressive features. Designed for health, fitness and lifestyle, it comes with an inbuilt GPS to track your route, pace and distance, and can measure your heart rate as well as your sleep. An activity watch that can inspire, motivate and push you to your limits, the Ionic comes with its own personal coach who can tailor your workouts and put your through your paces. Plus, this watch can store up to 300 songs, so you can exercise to your favourite music whilst its smartphone essentials keep you connected throughout the day with contactless payments and instant news and notifications. 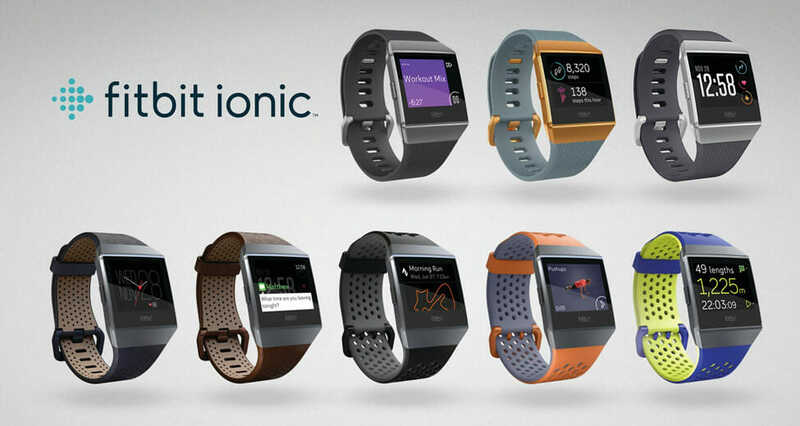 Although the Ionic is now a year old, it is still Fitbit’s most expensive wearable. 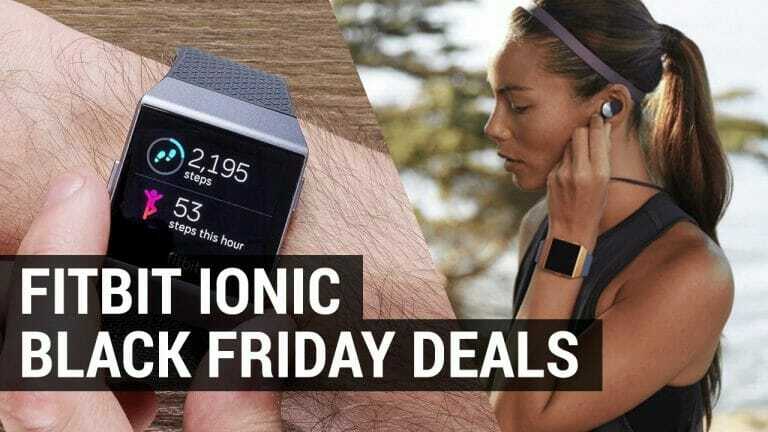 Therefore, if you are looking for a good deal on this smartwatch, then there couldn’t be a better time to buy the Fitbit Ionic than in the Black Friday sale. Taking inspiration from the Fitbit Ionic, the newly released Versa is a smartwatch that stands out from the crowd in terms of style and functionality and does so much more than just telling you the time. This lightweight yet durable activity tracker is equipped with PurePulse technology that continuously monitors your heart rate throughout the day and can alert you of stressful periods and its large display screen and tracking analysis offer unlimited possibilities for staying fit and healthy. And the good news doesn’t stop there. 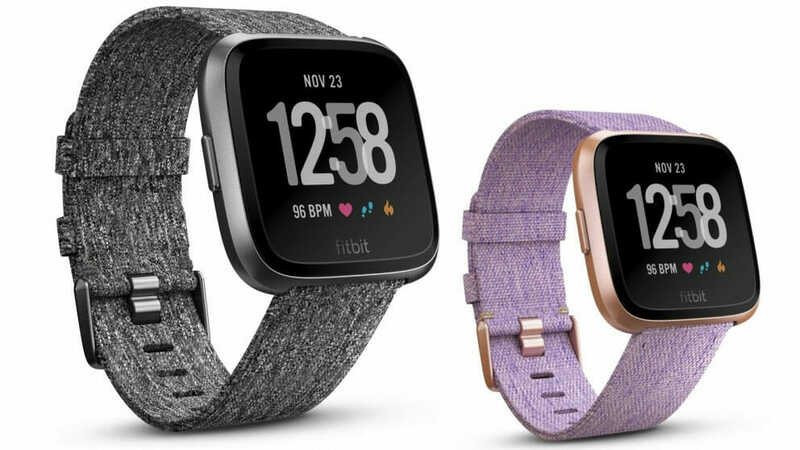 The Fitbit Versa smartwatch is water resistant and has smartphone capabilities that not only allow you to receive call notifications but to respond to texts messages too. Plus, you can make contactless payments and download up to 300 songs. You can even customize it by adding your favourite apps or designing your own clockface. It’s hard to find a Fitbit deal – especially on a fitness watch like the Versa, which is only 8 months new. 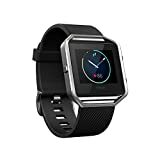 Therefore, I would recommend grabbing the great deals on offer in the Black Friday and Cyber Monday Fitbit Versa sales before it’s too late! As the Fitbit Charge 3 was only recently released in October, you can expect to see big discounts on the Fitbit Charge 2 in the upcoming sales. If you can live without the new features of its predecessor, such as a larger touch screen and water proof casing, then the Fitbit Charge 2 is a decent device. 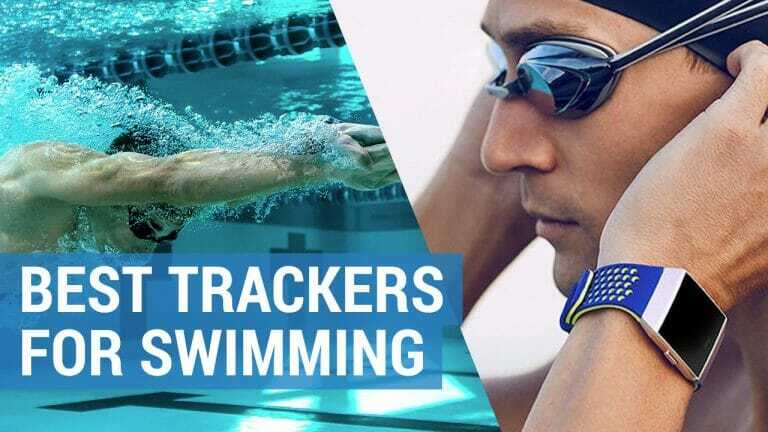 Offering a complete fitness package, this activity tracker is equipped with build in heart rate monitor, sleep tracking features and mobile apps that can even allow you to monitor your daily food intake. This watch is perfect for someone who wants to exercise and monitor their lifestyle choices all at the same time thanks to its sedentary alerts and smartphone notifications. So, if you have been over indulgent this Thanksgiving period, then the Fitbit Charge 2 can help you cleanse your body, mind and soul, just in time for a new year. 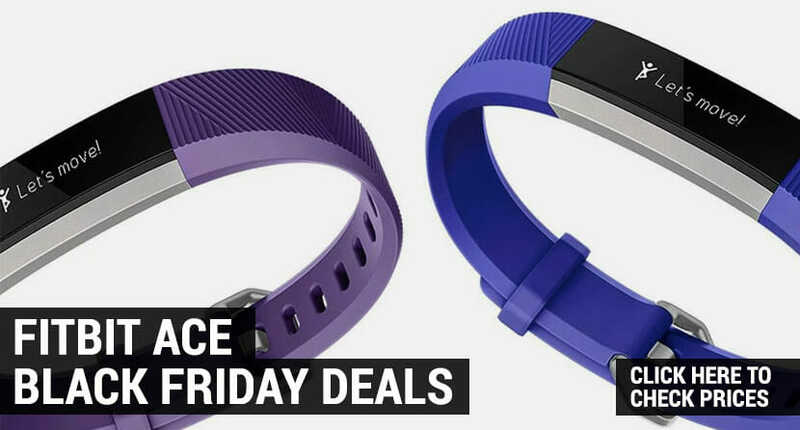 Pick up the Fitbit Charge 2 at a reduced price in the Black Friday or Cyber Monday sale. The Flex 2 continues to be one of Fitbits best sellers, thanks to its flexible design and simple functionality. Housing all the essential tracking analysis you could possibly want for everyday use, this inconspicuous watch can measure miles, calories burned, progress to goal and minutes moved. Using colored LED lights instead of a screen, the Flex 2 will flash and vibrate to keep you updated and alert you of notifications. Waterproof for up to 50 meters, this stylish watch can be worn wherever you wander. Plus, you can seamlessly wear it from morning to night thanks to its removable tracker and additional bangle and pendant accessories. 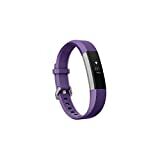 For a great deal on this fabulous fitness tracker, make sure you shop for the Fitbit Flex 2. This gorgeous fitness tracker is available in a variety of color designs and would make a great present for a partner or loved one. The Fitbit Alta HR may be small, but it certainly crams in a lot of tools such as steps, distance, calories and minutes active and will appeal to those who are looking for a comprehensive fitness tracker. 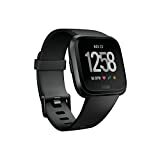 Although this wearable does not include a built in GPS, following feedback from the original Fitbit Alta, it does now include that all important heart rate monitor. 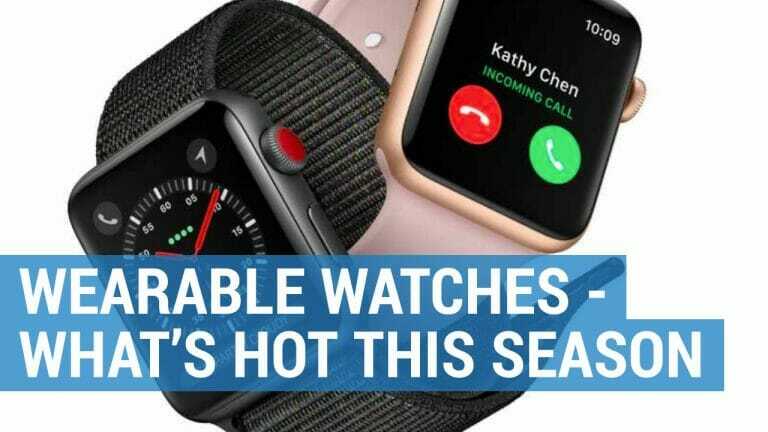 This watch also comes with the standard smartphone notifications and an auto exercise recognition function that can assist you in bettering your performance over time. Make this festive season one to remember for all the right reasons, when you purchase the Fitbit Alta HR in the Black Friday and Cyber Monday sales. Top of Santa’s wish list this year is the Fitbit Ace, an activity tracker for kids. This tracker not only looks cool enough to convince your kid to wear it, but it’s durable enough to make it through the day and affordable enough that your eyes won’t water when purchasing – especially if you buy one in the Black Friday sale. Aimed at children who are aged 8 years+, its range of features provide kids with all the motivation they need to get up and move. From counting steps to sleep and active minutes the Fitbit Ace comes in a range of bold colors and waterproof casings. Kids can take part in badges and challenges and if you are family with Fitbits, then you can connect and compete together. Parents can monitor their progress through the Fitbit app and there is the option to allow notifications when paired with a mobile phone. So, if your kids have been extra nice year, then why not treat them to a Fitbit Ace? To find out more about the Fitbit Ace, read my review of the Best Activity Trackers for Kids. Whether you want it wrapped around your wrist or wrapped up under the tree, keep an eye out for the latest Black Friday deals on the Fitbit Blaze. Fitbit built the Surge smartwatch following feedback from their fans and therefore includes everything you could possibly wish for in an all-round fitness activity tracker. From its built in GPS to its heart rate monitor, menu planning tool, real time workout data and large touchscreen display; it is the perfect fit for runners, cyclists and gym goers alike. 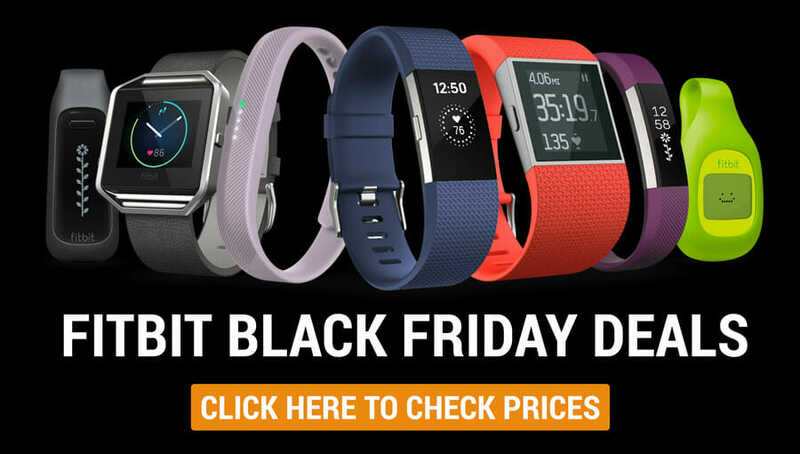 An expensive purchase (even if your loved one is worth it), make sure you pick the Fitbit Surge up at a bargain price in the Black Friday sale. Start the new year as you mean to go on, by setting achievable fitness and weight loss goals. 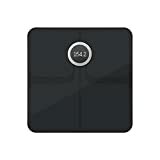 The Fitbit Aria 2 smart scales is an FDA approved medical device, that can accurately measure your weight, BMI, lean mass and fat percentages. By uploading and storing your data via the app every time you step on, gives you the opportunity to see if you are burning fat or building muscle whilst recognizing and celebrating your achievements. 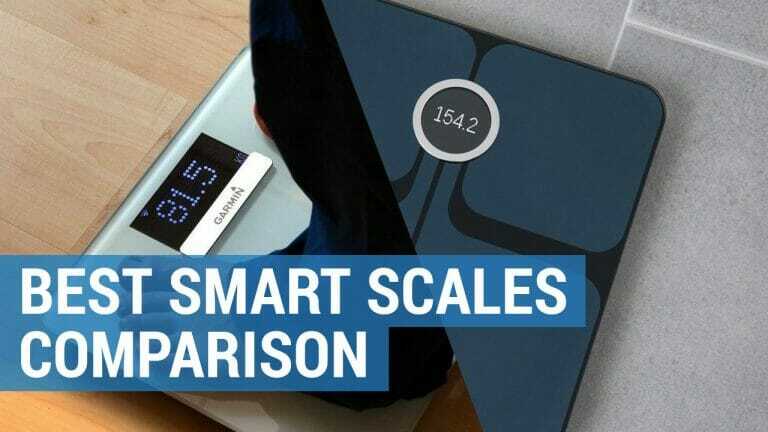 The ability to identify up to 8 different users means that these smart scales are the perfect holiday present for the whole family. So, shop savvy this Black Friday, and pick up a deal on the Fitbit Aria 2. It doesn’t matter which wearable you want to buy, if you want the best deal on a Fitbit device now is the time to shop. Fitbit are renowned for their superior fitness trackers, so when you don’t want to scrimp on quality, save on price instead. Don’t forget to check back here for regular updates on the best Fitbit comparison 2018.